How much can you save on a short sale in Parrish, FL? The short sale process in Parrish, FL, for a buyer can be very profitable if the situation includes a motivated seller and a cooperative lender. Find the best short sale homes and bank-approved listings available in Parrish, FL, at Foreclosure.com today for as much as 75% off market value. 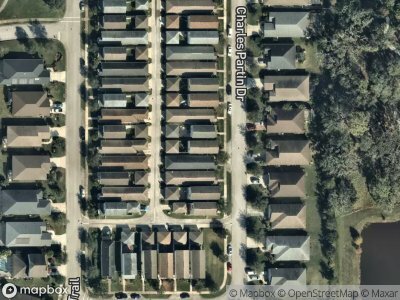 There are currently 1 short sale homes in Parrish, FL, available for potential sale right now. Get the most current list of short sale listings in Parrish, FL — and the information and tools to buy them fast — at Foreclosure.com. A post office named Parish was established in 1879, and the name was changed to Parrish in 1950. The community was named and established by Crawford Parrish, who was from Georgia and his wife Mary Bratcher Vanzant who was born in 1841. After they were married and after the Civil War they moved south to what is now known originally as the Suwanee River and bought land and had slaves work there. In 1867 they sold the land and decided to move to the Manatee River. He had stayed for several years and built a home on the banks of the river in what is now Oak Hill (unknown location). He was a rancher and later an orange grower. There are currently 1 red-hot tax lien listings in Parrish, FL.